What a beautiful village you created! 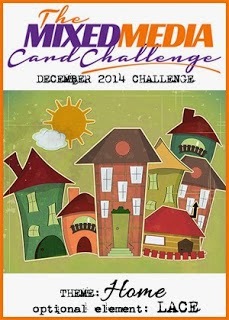 thanks so much for joining us in the Mixed Media Card Challenge! Beautiful card, so glad you joined in the fun @ Mixed Media Card Challenge! So pretty!!! Thanks for playing along with us at Mixed Media Card Challenge.